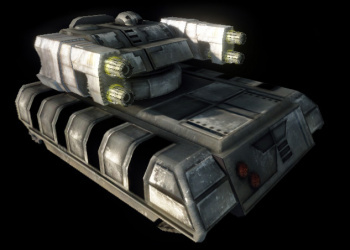 The Partisan is an Inner Sphere tank, specialized for anti-aircraft roles. It is lightly armored and moves slowly, but its weapons allow it to sit behind the main battle line to perform its main function. With great turret rotation range and equipment, it excels at taking down aircraft. Its secondary roll is to provide an inexpensive but quite effective fire support platform. The Partisan Prime's AC5s allow it to rip into aircraft and at fairly long range, and its enhanced optics aid in aiming. It can also be effective against other ground light assets. GECM and LAMS equipment gives the Prime much needed protection from enemy radar and missiles. 2 aditional tons of armor greatly helps with survivability. Prime is a force to be reckoned with. This variant carries 4 LBX5s which reach up to 800m range. It is very dangerous to hostile aircraft and tanks that wander within range. Furthermore, it'll fill the air with buckshot while staying hidden from enemy radar by its GECM equipment. This tank shines at destroying light and medium Mechs: two shots of all cannons, if all projectiles connect, will destroy the rear armor of any of these Mechs. One particularly devious tactic is to drive in the path of an enemy Mech circling another in a brawl- this may stop it entirely, allowing you to get a good shot at a component as well as helping your teammate. This variant mounts 4 RAC2s, giving it a frightening rate of fire. It will devastate any BA that it encounters, and once in range can take down aircraft easily (there is a lot of spread, so it will burn through ammo quickly when firing at distant targets) as well as light Mechs. Its damage output is generally insufficient for larger targets, however. This is a simple but effective extreme range missile boat, with no close combat abilities. Eoptics allow it to pick targets from a good distance. While more expensive than other early- to mid-game assets with ELRMs, it packs more punch with its ELRM20s and much needed 6 free tons of ammo. Nicknamed "Redbeard", the Partisan D lays down the hurt at medium to close range. 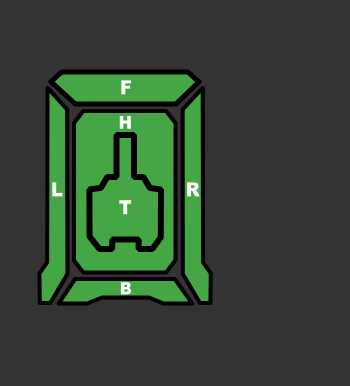 The two ERMBLs and singular LBL can snipe targets out to 600m and 700m respectively. The MRM30 functions as a versatile take-down weapon, able to dish out serious damage at close range in a shotgun-esque manner, or land blows on slow, immobile or oblivious targets out to 650m. The unit has 1 ton to spare for its MRM30. It also has an extra 2 tons of armor and LAMS for increased protection. The variant E, as the cheapest of all Partisans with only 7 tons of Armor and EOptics is a long range sniper. Mounting 3 UAC2s and 1 LtGauss plus a additional 4 Free tons of ammo, one ton for each gun. Those give it a high damage potential, only surpassed by the B variant, and the highest possible range for non-missile and non-artillery units. The E has the ability to rip holes in any Aero wings, whittle down opponents from afar and pick off stragglers heading back to base. Partisan E is a support vehicle so try to keep your distance at all times. PDS is there to assist you, should your teammates let enemy BA get close to you. Being the most pricey variant, the F is suited for close to medium range battles. Mounting the Rotary AutoCannon 5 and 3 X-Pulse Lasers, this Partisan can chew into opponent's armor quickly with sustained firepower supported by a good 9 Heatsinks. Both weapons will reach up to 500m, but the RAC5's will be best used at closer range to tear off specific components. 1 ton of ammo is insufficient for extended battles though, potentially hindering its deployment range. This close range beast has a full 2 tons of extra armor which allows it to tank far longer than expected, surprising many enemy pilots. A pure brawler, the Partisan G mounts twin Dual SSRM6 launchers as its only weapons. Within 350m, enemies can expect either an alphastrike wall of 24 tracking missiles or a constant screen-shaking barrage of 12 tracking missiles launching every 2 seconds. With 6 free tons of ammo, the G will be able to stay in the battle for quite a while. Pilots should be wary of its limited engagement range as it is too slow to chase down all but the slowest opponents.